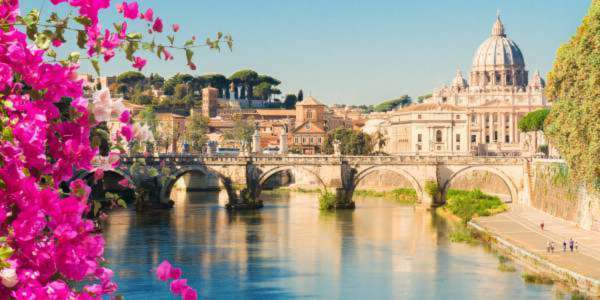 Visit the fascinating capitals of Italy: Rome, Florence & Venice. This week-long trip with airfare includes hotels, Eurostar train transfers & all taxes. See the Colosseum, Michelangelo's David, the Grand Canal and more. Save up to 40% on rooms + Free Wi-Fi! Newest Melia and most popular all-inclusive resort! Find the perfect Caribbean vacation package to get your beach on. Pick an island, and we’ll deliver the perfect package. From Tulúm to Cancún and from Cabo San Lucas to Acapulco, your adventure starts with one of our Mexico vacation packages. Tour an Irish castle, laze on a French Riviera beach, or explore London. Our Europe vacation packages can get you there. Choose a vacation package to explore the forests of the Pacific Northwest, the cities of the Northeast, and everywhere in between. Enjoy beautiful beaches, verdant rainforests, and all the wonders of Costa Rica, Panama, Belize, and more with our vacation deals. Explore the tropical climate, diverse history, lively cities, and natural wonders of Peru, Brazil, Ecuador, and more with our vacation deals. Choose an Asia vacation package to explore the jungles of Thailand, the rivers of Vietnam, and the antiquities of China. Let the tropical breezes and swaying palms wash away your cares. Our South Pacific vacation deals can get you there for less. Your dream destination, made real. Choose the bucket list vacation that meets your needs and leave the planning to us. Whatever the location, an all-inclusive vacation delivers the best value for your dollar. Browse our deals to get started. Grab your sunscreen, swimsuit, and flip-flops and get ready to soak up some sun with our amazing beach vacation deals. Pack up the kids and choose a family vacation deal at a beach resort, a major city, or an exotic locale. You’ve earned that trip of a lifetime. Kick back, relax, and let us plan a vacation package that’s perfect for your level of interest and energy. Choose a luxury travel deal and you'll be enjoying 5-star service at your dream destination before you know it. Make love a priority with a romantic getaway package to a quaint city, a tropical resort, or anywhere in between. When you find cheap vacation packages with Dunhill Travel Deals, you can expect a vacation experience unlike any other. We offer a top-tier selection of the best vacation deals out there, so we can help you reach the destination of your dreams without breaking the bank. Maybe you just want to get away for the week, so you're booking a last-minute trip. Why not try one of our top all-inclusive vacation packages? Enjoy a stay at a luxurious oceanfront hotel in Puerto Vallarta or Riviera Maya and watch the waves crash against the shore every morning while attentive staff attends to all of your needs. If a trip to Europe is in the cards, we have some of the best vacation deals on the continent. Consider our multi-day excursions that take you from Rome to London to Athens. You can visit Ireland's most historic sites or, if you're feeling really indulgent, you might consider a chauffeur-guided tour. Cheap vacation packages in the United States give you immediate access to some of the country's best vacation deals. Test your luck in Las Vegas or take in the breathtaking beauty of the Grand Canyon. Explore Chicago's Magnificent Mile or spend some time soaking up the sunshine in exotic Maui. When you're on the hunt for the best vacation deals in the world, you want pure pleasure - at a great deal. Try one of our top all inclusive vacation packages in the Caribbean! You'll experience the pristine blue waters of the islands firsthand. Indulge in incredible amenities at some of the world's best hotels. If you've never explored the sultry side of Mexico, now is the time. Our cheap vacation packages include stays in absolute paradise. Enjoy Cozumel's white sands, Cabo's breezes, and Cancun's tropical beauty. Some of the best cheap vacation packages include trips to Asia and Australia. Have you always wanted to explore the outback? Guided tours are the best way to experience the continent like a true outdoor adventurer. From India to Vietnam to China, excursions in Asia will leave you awestruck and satisfied. Who wouldn't feel like an explorer after visiting the Taj Mahal and trekking through bustling Hong Kong? Whether you're seeking a luxurious getaway or want to unleash your adventurous side, you'll find a cheap vacation package to meet your needs at Dunhill Travel Deals. Our team expertly selects the best vacation deals. Save money while seeing the world! Search for Vacations & Compare Deals!